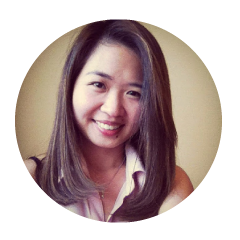 By Samantha C February 12, 2015 Lifestyle and Culture, Valentines Day. For those individuals fortunate enough to have a Valentine by their side, this February 14th is an undeniably romantic occasion. While you should express your love year around with kind thoughts, actions, commitments etc. the usual stuff, Valentine's Day is the one extra special day for you to grab your partner, live the magic and embrace the romance of it all. However, sometimes saying “I love you” simply doesn’t cut it and when you realise that you’ve given all of the standard Valentine’s Day gifts you can stand, it can be a challenge to come up with something original. 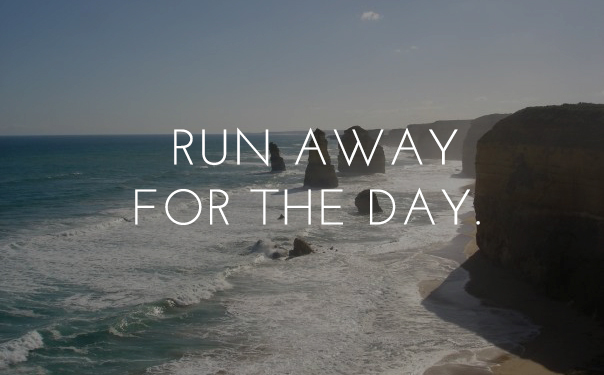 Day Trips are an easy bet. For a luxuriating experience, try a spa weekend or treat yourself to a couples massage. If you’ve got a taste for the outdoors why not rent a cabin out of town? What’s more romantic than cuddling up in the wilderness with your loved one and a glass of wine? 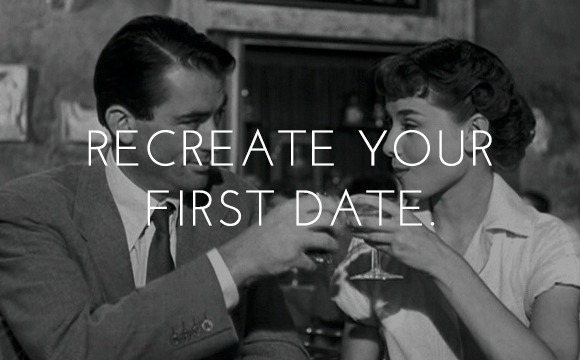 Nothing could be more romantic than recreating your first date with your partner. 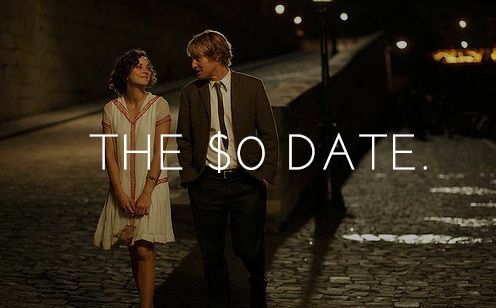 Whether you return to the bar where you shared your first drink, eat the same food you both shared, or rent the movie you first watched, this date is sure to impress. After all, it’s the thought that counts right? This year try a ‘no gift no cash’ policy. 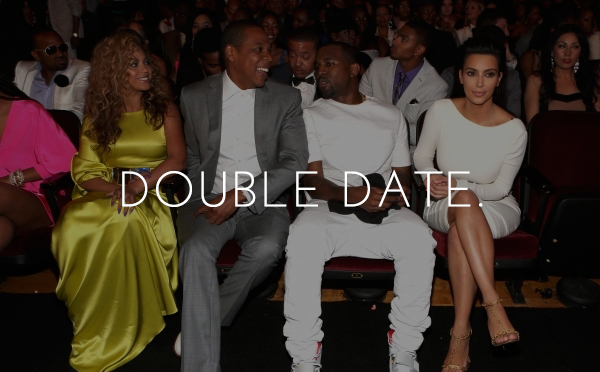 This date is the real deal when it comes to finding out whether you and your partner are a match made in heaven. Think old DVDs, people watching, window shopping, etc. Two facts for you: Exercise induced endorphins improve your happiness AND doing new things together as a couple ignites the same feeling as falling in love. 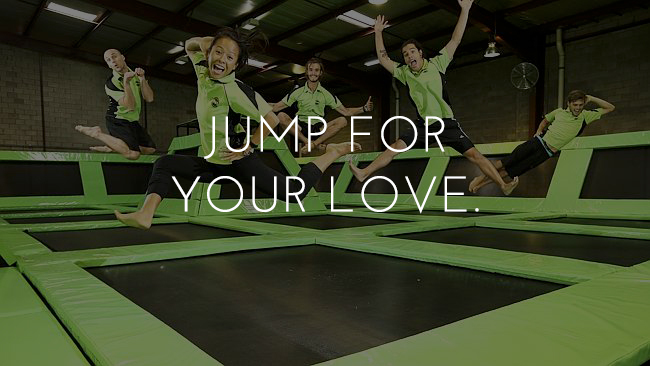 Head to your local Flip Out* trampolining arena and spend the afternoon jumping around like a kid with your partner. Mixing up dates with a fun activity is sure to keep those butterflies alive! 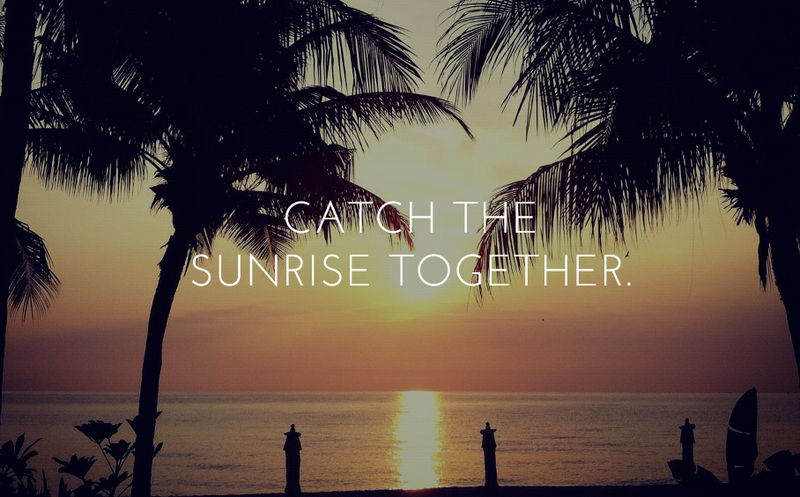 Unless you’re not a morning person, in which case there’s always the sunset! Whilst it may not be a first date activity, you’ve surely been together long enough to relish in a little embarrassment. 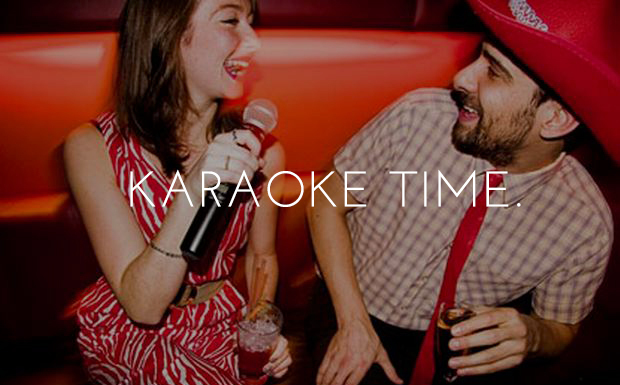 Let each other pick out a song and give those vocal chords a workout. If you head to a local bar prior, you’ll forget how offensive each other’s voices really are. And drive. Literally, any direction, to any destination. Everyone knows how much fun adventures can be. How long has it been since you two have done something crazy? 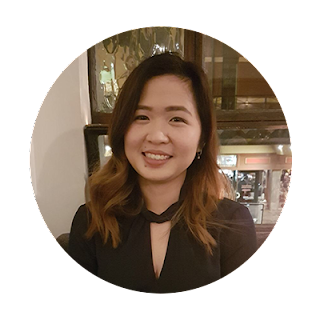 For those couples who could do without another night in with their other half, why not enlist one of your favourite couples and hit up your favourite restaurant or bar? 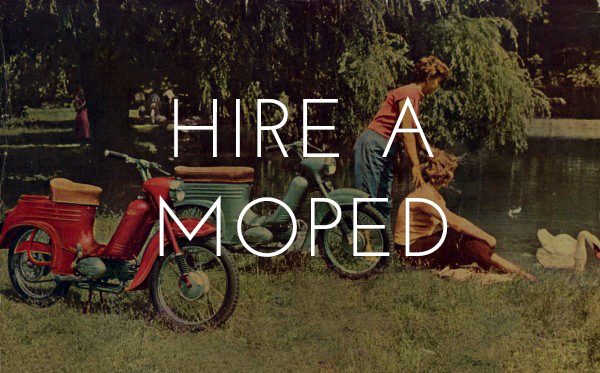 Making fun of the hopeless romantics staring into each other’s eyes should provide endless entertainment. *Flip Out™ Trampoline Arena is Australia's first & largest trampoline playground. The first location opened in Western Sydney only eighteen months ago, and Flip Out now has 15 sites across the country. Flip Out endeavours to give children and adults healthy and fun experiences through trampolining, ball games, ninja classes, agility training, party packages and other highly enjoyable and unique activities. Lifestyle and Culture, Valentines Day.